This post is tied to Pork Tenderloin- two ways. All recipes can be found under the week of May 24th. I used kale to make two dinners this week, but actually used it for breakfast and lunch too! I made a green smoothie in my Nutribullet consisting of kale, banana, apple, blueberries, and ground flax seed twice for breakfast and had a kale salad seasoned with lemon-garlic dressing for lunch. And I still had left over kale, so we’ll use it again for another dinner for next week! 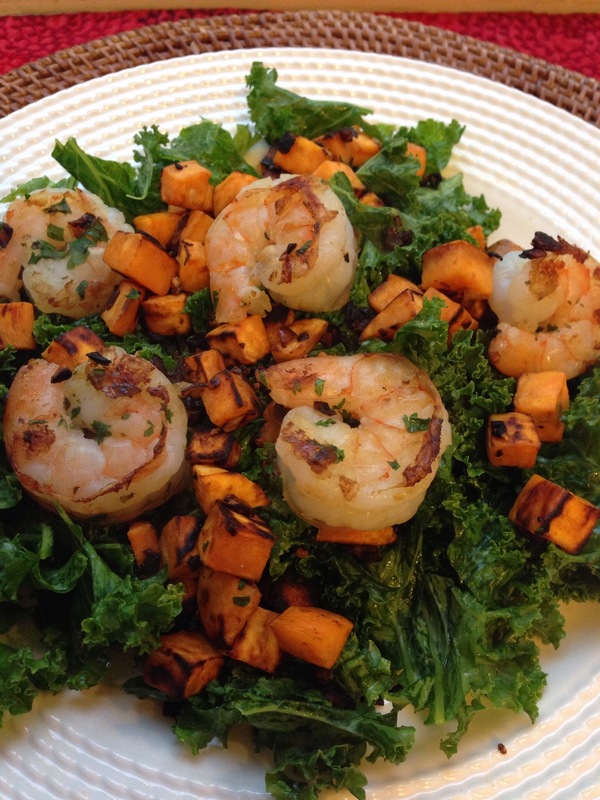 The first kale dinner I made was a kale, shrimp, and sweet potato salad. I know, it sounds a little strange! My husband was very skeptical of the combination and I’ll admit I was a little too! But it all ended up blending so well together! I have recently tried a lot of kale and sweet potato combinations. Click here for my super salad recipe with kale, sweet potato, quinoa, black beans, and avocado. I’m loving this combo! 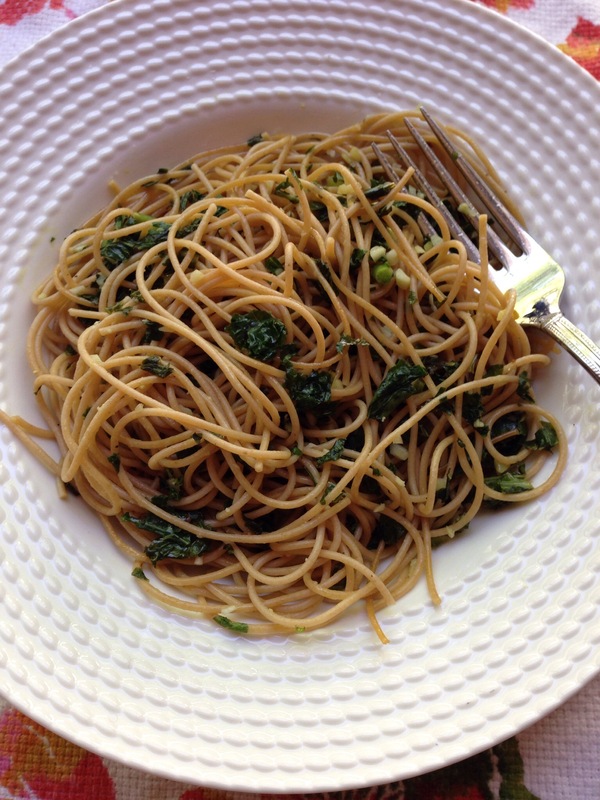 The second dinner I made this week with spaghetti with kale, lemon, and garlic. This salad served two people; you can make it larger if you have more mouths to feed, or make a smaller version for a delicious lunch! I followed this recipe, but didn’t add the kale in the skillet at the end. I don’t like it wilted. Instead, I sprinkled it with salt, drizzled olive oil over it and seasoned the shrimp, because unless it’s shrimp cocktail, who wants plain, boring shrimp! For the second dinner with kale, I made a pasta dish, inspired by this recipe. It was light and refreshing and had a little kick to it!